#27 Butterflies + C is for Corners. Kitty has chosen the following letter for you. #27 Butterfly/ies + C is for Corners. 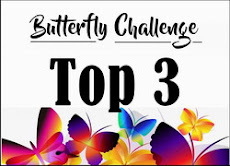 plus your butterfly's on your project. 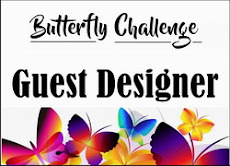 Hi, I’m Kitty and I am excited and honoured to be a Guest Designer at the Butterfly Challenge! I live in Nova Scotia, Canada, and I just turned 50 last year. I am no longer able to work so I spend my time making cards! I definitely craft on a budget! 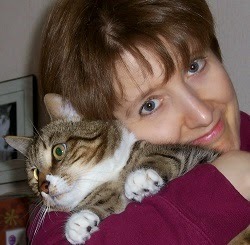 I started my blog in June 2013, after being invited to join a design team. My card-making style would be considered “cute” and my favourite subjects are cats, mainly due to my three beautiful kitties, Honeydew, Kiwi, and Snowie. 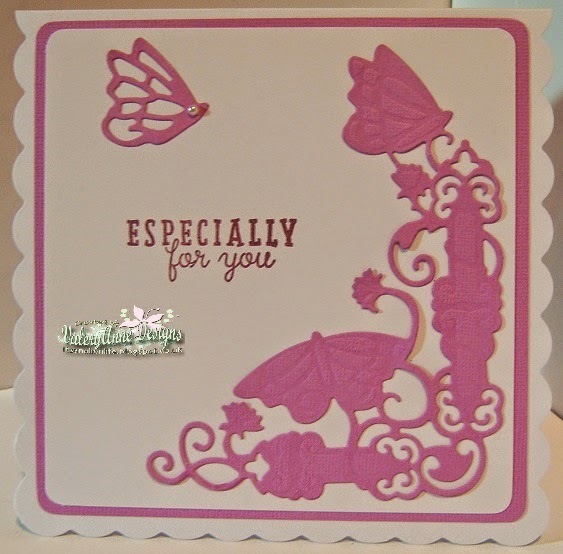 But there are no cats on my cards today – just butterflies – another favourite subject of mine! In case you’re wondering how I chose my blog name, KT are my initials, Kitty is a nickname, and Fit Kitty is my user name on a fitness web site I used to frequent. Since I was already set up with the name Fit Kitty on Google and Gmail, I decided to stick with it. Thank you, Mrs. A, for inviting me to be your Guest Designer! Wishing you and your followers a joyful day! and this 1st one is a real think outside of the box idea for the theme. Can you see the Rhine stones corner. 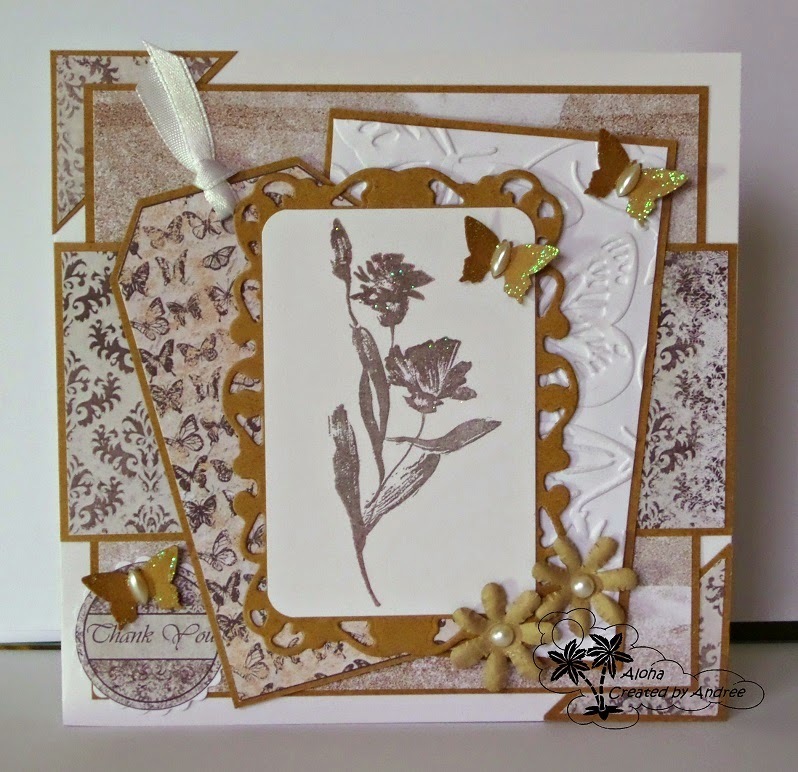 of the card for the the theme to work! I love this idea Kitty. off the card in the corner. Kitty's blog to see the full details of how it was made. I have chosen to use a die cut for my corner piece. Full details can be found here on my blog. 6 new players joined in the fun. Well you certainly loved using your Patterned papers. 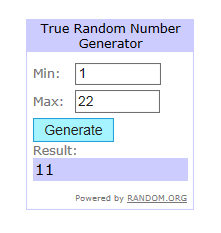 58 entries this time round. Lots of different ways of showing them off too..
that especially caught my eye. will be winging it's way to you both. Hope to see you back in #27. Andree has chosen the following letter for you. #26 Butterfly/ies + P is for Patterned Paper. and you are free to use other embellishments as well. Hello, my name is Andree and I live in Maidstone in the UK and work in a local school office and so lots of my school holidays get spent in my craft room. I am married and have two wonderful children in their early twenties which makes me feel really old. 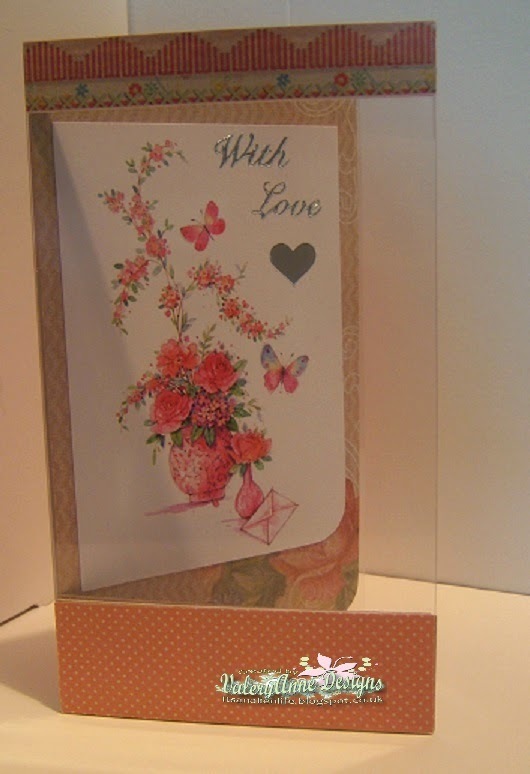 I’ve been making cards for the last 10 years and I love both digi and rubber stamps and colouring with Promarkers. I also have a bit of an addiction to pretty papers-like most crafters I have far more than I could ever use but just can’t seem to help myself. 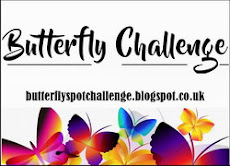 I started my blog ‘Aloha Cards’ a few years ago mainly to keep a track of the cards I was making but then I discovered so many other wonderful blogs and challenge blogs and I now have lots of crafty blog friends. My husband made me a craft shed in the garden which was lovely but a bit cold and lonely in the winter. My daughter has recently left home so I have taken over her bedroom with my craft stash and I am loving being able to craft in the house now. 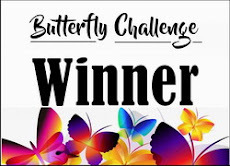 I’d like to thank Mrs A for this opportunity to be her guest designer for this challenge, and I’m very proud to take part. they have all been stacked on the card. I keep seeing something different every time I look. sandwiched between layers of patterned paper. 2 new players joined in the fun. Well you did me proud with all your Hexagons. I loved looking at all the very different designs. Hope to see you back in #26.